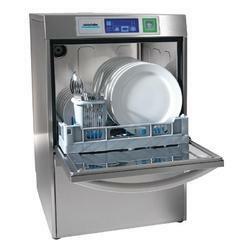 We are the leading manufacturers and suppliers of the Winter Halter Undercounter dishwasher U-50. 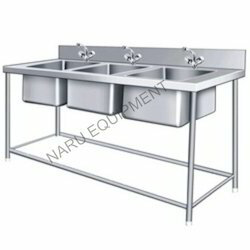 We are the leading and prominent Manufacturer, Supplier and Exporter of Three Sink Unit. 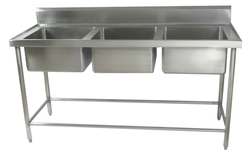 We offer a wide range of very high Stainless Steel Sink Units to our most reliable customers. These products are offered with stainless steel inner pipe frame and legs structure with nylon adjustable bullet feet. These products are available in various sizes correspondence to their average weights. These products can also be customized according to the requirement of our clients. Looking for Three Sink Unit ?